Continued safe operation is imperative to maintain optimum production schedules and efficiencies. Regular maintenance and testing of safety components is essential to ensure bakery ovens are operating to sustain 100% Up-Time allowing demanding production schedules to fill customer orders as needed. Ordan Thermal provides custom Preventive Maintenance (PM) service programs designed to suit your needs and around your production schedules. Whereas the oven is a key component in the baking process, and it must continuously operate safely, the combustion equipment must be regularly maintained by Licensed Gas Technicians to assure the bakery maintains operation of oven burners and controls. Ordan Thermal provides regularly scheduled Preventive Maintenance and Safety Audits on bakery oven combustion equipment. 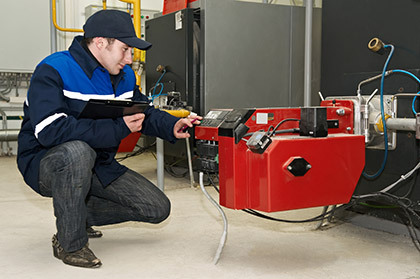 All site service and installation of gas equipment and combustion controls are performed by licensed technicians. The PM activities include a thorough inspection; cleaning of the equipment, and any minor adjustments and repairs required to ensure continued smooth operation of the combustion equipment. In addition, we will periodically schedule a Safety Limits test and provide a report advising the status of all combustion Safety Interlocks on your system. Avoid unexpected nuisance shutdowns and increase operating and production efficiencies. An Ordan Thermal Preventive Maintenance program will help ensure your equipment is operating and your production is flowing. Do you like us? We're Hiring!